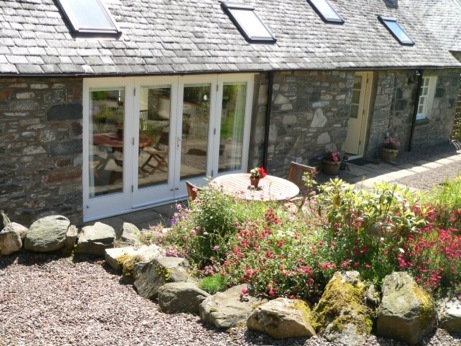 "Amazing cottage and location was perfect for visiting, driving and walking in the most beautiful areas of scotland." With a secluded location in Highland Perthshire, near the entrance to Glen Lyon, Burn Cottage is the perfect destination to relax and unwind. Designed exclusively for couples, from the outside it is the quintessential stone built cottage while internally it has a bright, airy and contemporary feel where the accent is on luxury with high quality fixtures and fittings throughout. In the summer you can throw open the french doors and let the outside world in, while in the winter you can “snuggle up” beside the wood burning stove.